As you meet people of different ethnicities and heritages, one of the first things you may notice is that the shapes and types of eyelids can tend to be a little different. Most of the differences that separate us are only physical in nature, and it is important to understand that we all have different types of eyelids. On this page, we will describe the many different eye shapes and types of eyelids. Once we finish this, we will then present you with the many different all-natural care options for people of all types of eyelids and eye shapes. 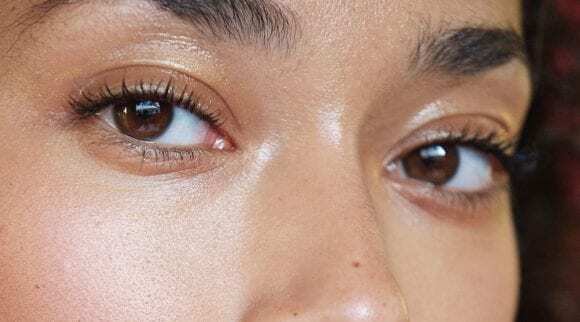 Before we present you with our favorite all-natural eye care products, it’s relevant for us to break down the different types of eyelids. Typically, these differences may only help you decide what type of cosmetics to use and the most appropriate techniques for each, but they are still a great thing to know about yourself. Of course, the differences between the different types of eyelids only illustrate minor aesthetic differences among us and don’t necessarily imply that you need to completely adjust your strategy for treating certain conditions. Keep this in mind as we scroll through the main types of eyelids and eye shapes. Close set eyes are one of the most distinct and easy-to-spot. People with these types of eyes have eyes with a short distance between them. It may even be less than the diameter of their eyes. In other words, the eyes are closer together than what we see in those with different types of eyelids. Typically, you can quickly pinpoint if you have these types of eyes by using a ruler, measuring, your eyes, and the distance that you have between your eyes. As the name implies, deep set eyes sit slightly deeper into the skull than the other types of eyes. As a result, the brows of people with deep set eyes tend to be a little more noticeable. If you have deep set eyes, your eyes probably view a little smaller than the other types of eyes. Accordingly, these types of eyes are also slightly less noticeable since the eyes are slightly more sunk into the skull than other eye types. Downturned eyes receive their name because of the downward tilt at the outer corners. The upper portion of the eyelid should have a crease, and be slightly more visible than it is on the corners. People with this type of eyelid tend to look really great with eyeshadow since they have lots of space to use for this type of makeup. Downturned eyes are sometimes labeled “cat eyes” because of their shape resembling a cat. 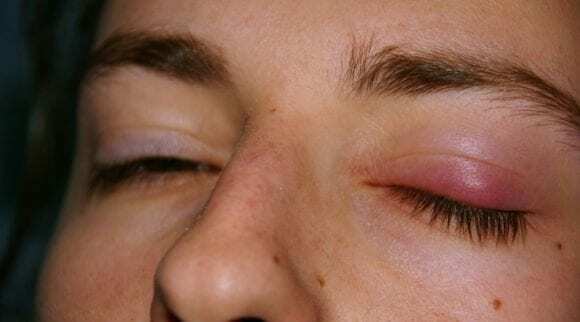 People with hooded eyelids have an extra layer of skin that folds over the surface of their eyelid. This makes the eyelid appear a tad smaller than some of the other styles. This extra layer of skin can even sometimes cause the eyelids to appear non-existent completely. The term “hooded eyelids” derives from the natural look resembling a hood that you put over your head that can be noticed on the eyelids. People with monolid eyes have very distinct types of eyelids. Typically, those who have East Asian origins are more likely to have monolid eyes. To spot monolid eyes, you simply need to notice whether or not there is a crease on the eyelid. If there is no crease on the eyelid below your brow, you probably have monolid eyes. The eyelids appear to remain flat without any folds whether the eyes are open or closed. Those who have protruding eyes appear to have eyes that are bigger and rounder than those with other types of eyelids and eye shapes. They also tend to have more noticeable eyelids than other types of eyelids, allowing plenty of space for cosmetics like eye shadow. If you have protruding eyes, your eyes appear to be a little bigger than average. Of course, this also means that you can have a very distinct and noticeable pair of eyes. This is a good thing, right? Those with upturned eyes have the famous almond shape, but also with a slight lift on the outer edges. The inner edges of the eyes are slightly tilted downward, giving your eyes a very distinct look from other types of eyelids and eye shapes. There is a noticeable crease along the top of the eyelids, leaving a decent amount of space for cosmetics. The lower portion of these types of eyelids is slightly more visible than the top portion. When we described close set eyes, the main distinction from other types of eyes is the fact that they are spaced less than your eyes’ width apart. Accordingly, if you have wide set eyes, your eyes will be slightly further apart than the width of your eyes. There are also typically creases along the top of the eyelids. However, there are certain instances where you can have wide set eyes and not notice any creases along the eyes. Although there are a few physical differences among the various types of eyelids and eye shapes, treating problems like blepharitis, demodex, wrinkles, puffy eyes, and so on, is relatively similar with all eye shapes. We are all humans, after all. Those with an Asian heritage, for example, tend to have slightly different skull shapes, which explains why they can have a distinct look on their eyes and eyelids. They also tend to have a narrower tarsus and an additional layer of fat tissue on the eyelid. However, outside of basic physical differences like this, there isn’t really much that separates our eye anatomy. 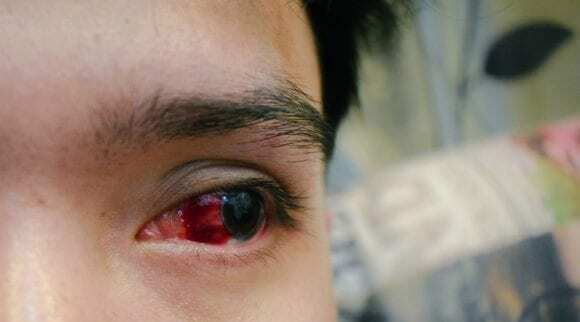 Accordingly, if you are suffering from a common eye condition, you don’t need to be prescribed certain types of products made specifically for your type of eyelids or eye shape. Accordingly, the types of eyelids that humans can have are not that different after all. As we can see, there are many different types of eyelids and shapes of eyes. When it comes to applying your makeup for the day, you might typically have a unique strategy based on the natural look of your eyes. As far as taking care of the skin around your eyes and making sure that you have bright and healthy eyelids, there are many different all-natural care products which will help you to keep your eyes shining. 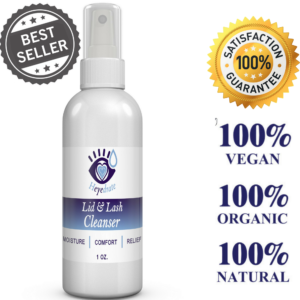 Those who need to have a powerful natural eye care remedy to treat problems like demodex, blepharitis, rosacea, and so on will need an eyelid cleanser like hypochlorous acid, which is what Heyedrate Lid and Lash Cleanser is. This is a very natural, 3-ingredient eyelid cleanser that is organic and vegan. The one ounce bottle from Heyedrate lasts about one month or 160 sprays. They also have a four ounce option that will last up to four months. This is a very affordable option compared to others we saw that were prescription and over-the-counter. Click here to check price and reviews on Amazon. As mentioned, this is a great product if you have irritated eyes, eyelids, or any other skin redness from conditions like rosacea, blepharitis, and dry eyes. The treatment for this product is rather simple and straightforward. Twice per day is the typical recommendation. Start by cleaning your hands and washing your face and eyelids with a tea tree soap. After drying your face, you can either spray it directly on the eyelids and let it dry (no need to rinse) or you can apply it to an organic cotton ball or round and wipe gently across the eyelids. Put it by your toothbrush to remember to do it twice daily. Hypochlorous acid is a recent addition to the market and has shown amazing benefits for irritated eyelids, inflamed and red skin condition, eyelid bumps, and overall eyelid hygiene. We recommend making Heyedrate Lid and Lash Cleanser a part of your daily routine. If you have a problem like blepharitis, demodex mites, or rosacea, this will be one of the best products for you to use in the short or long term. With the right ingredients to treat conditions like this naturally and without causing further problems, many people will choose to make this their go-to natural eye care product. Click here to check price and reviews of Heyedrate Lid and Lash Cleanser on Amazon. Used as one of the most prominent components of a professional spa treatment in various locations around the world, this product is also available over-the-counter for hydrating your skin and keeping the skin around your eyes fresh and young. With the ability to naturally treat and prevent common problems and conditions, this is a great all-natural eye remedy to consider. Just about any sort of all-natural eye care product will not be that expensive. However, the price that you pay for each treatment is just as important as the price for the entire package. Since this product is one of the most trusted natural treatments at professional spas, you might have to pay a slightly higher price than you would with other similar products. Each package comes with 15 treatments. This product can naturally treat problems like the presence of harmful toxins, and it increases blood circulation, improving cellular metabolism, reducing wrinkles, dark circles, and puffiness around your eyes. Since this product stimulates the production of new cells, there are many different potential uses for this product. For starters, it’s important to note that this product is not designed for those who have sensitive skin. Accordingly, those who use this product for the first time should do a patch test on their wrist or similar part of their body. If you are sure it won’t irritate your skin, then you simply need to put the mask on for 20 – 30 minutes to receive the full effects. This product uses ingredients which are completely natural like water, plant collagen, vitamin B3, essential oils, and so on. There is even 24k nano gold, giving this product a unique touch paralleled by none of their competitors. For this reason, many people will immediately make this product their choice for a natural eye care remedy. With unique ingredients, a powerful formula for generating new skin cells around your eyes, the ability to reduce symptoms of various common conditions, and a reasonable price for each treatment, this is definitely one of the best ways to naturally take care of your eyes and eyelids without resorting to harmful chemicals. Those who need to have a powerful natural eye care remedy to treat problems like demodex, blepharitis, rosacea, and so on will need a slightly more suitable treatment like this one. Although you will clearly need to have more powerful ingredients for those conditions, products like this prove that you can still provide a remedy without using unnatural chemicals. For the price that you pay for each package of towelettes, you receive around a month worth of treatments. Accordingly, this is one of the best options to consider if you want a natural eye care product that doesn’t empty out your wallet. However, keep in mind that this is definitely not the most affordable natural eye care product, but still comes with a generous quantity of treatments in each package and works on all types of eyelids. As mentioned, this is a great product if you have a condition like demodex, which requires special ingredients with the ability to take care of more intensive conditions. With tea tree oil, this product will be able to kill any sort mites that you may have living in your eyelids, as well as alleviate problems associated with other conditions like rosacea and blepharitis. The treatment for this product is rather simple and straightforward. Every day or so, start by cleaning your hands. Then, take one of the towelettes and wipe around your eyes, being careful not to touch your eyes themselves. For best results, start by using this product every day, then switch to every other day after going through your first package and once symptoms are lessened. It can be difficult to find natural eye care products that can effectively treat more complicated issues like rosacea and demodex mites. In all reality, treating issues like this requires that you get unique ingredients. 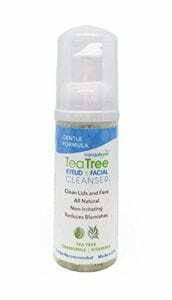 One ingredient for those who suffer from demodex mites will heavily benefit from is tea tree oil, which is one of this product’s main ingredients. This is a natural way to kill these mites without using potentially harmful chemicals. If you have a problem like blepharitis, demodex mites, or rosacea, this will be one of the best products for you to use either for the short or long term. With the right ingredients to treat conditions like this naturally and without causing further problems, many people will choose to make this their go-to natural eye care product. Those who want to use advanced natural ingredients like coconut oil and tea tree oil to soothe their eyes, this product has a relatively gentle formula that’s great for those who are completely new to these types of products in the first place. Just keep in mind that there are much more potent options to consider. One of the most important features to note about this product is that it comes at an affordable price for at least a month’s worth of treatments in each package. Although this may not be the most affordable natural eye care product, it definitely isn’t the most expensive one to consider, either. Although this product can surely fight common problems like dry, itchy, and irritated eyes, and perhaps even kill demodex mites, this may not have the right level of power for your needs. Accordingly, this is a great product to start with if you have skin that is a little more sensitive than normal. This product comes with 30 different individually-wrapped wipes, making it so you don’t have to open everything at once. Like other similar natural eye care products, simply clean your hands and then carefully wipe the skin around your eyes. It can be used on all types of eyelids. Typically, you should only do this once a day to experience the full results. With ingredients like tea tree oil and coconut oil, this product will help you to treat advanced problems like demodex mites very easily. If you want to use a natural eye care product which is both affordable and gentle on sensitive skin, this is one of the best options to pursue. Specifically, anybody who is completely new to products like this might consider trying a gentle product like this, so they can monitor the results and then decide if this is the right type of product for you. If you want to have a product that is both powerful and affordable, this natural eye care product will help you to conquer some of the toughest cases of demodex, acne, and so on. This is a versatile product which can be used for a wide array of conditions and benefits. 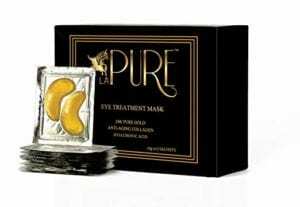 Accordingly, those who want a powerful and natural eye care product will surely make this one of their top options. For one of the lowest possible prices for each treatment, this product stands out both for its affordable price and unique style of treatment. Accordingly, if you wish to receive a great deal on a natural eye care product that will last you a reasonable amount of time, this is one of the best options to consider. 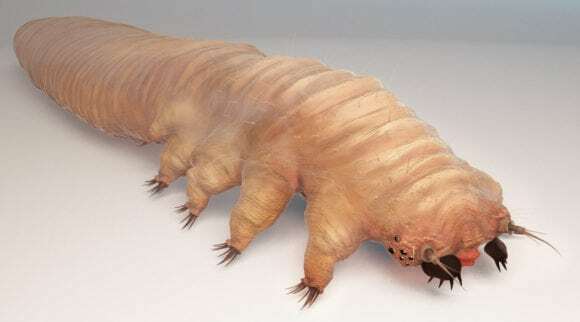 One of the most immediate candidates for a product like this are people who want to get the population of demodex mites living in their eyelids under control. However, those who have other conditions like acne, rosacea, and dryness will also be able to benefit from this product, and it can be used on all types of eyelids. This product can also be used to remove makeup within seconds. This product is a wonderful natural remedy to use in the shower. Simply clean off your hands and face, spread a pump of foam across the desired areas, and then rinse it off. Typically, people will either use this product once or twice each day, depending on the severity of their condition or ability to easily replace the bottle once it is empty. For starters, some people want to use a natural product that doesn’t require them to take more steps in their daily routine. Since this product is very easily used as you would use soap in the shower, each treatment can be started and finished within minutes. It is also very easy to portion each treatment since you will only need one pump of foam for each treatment. With a powerful formula which can effectively conquer problems like demodex and acne, this is a great natural product for taking care of your entire face, not just the skin around your eyes. Since it has a reasonable price and very quick and easy treatment, anybody who is concerned with a little more than the skin on their eyes will love that this product can be applied across your entire face for various different purposes. This product is a mask that you can routinely apply onto your eyes whenever you encounter issues such as dryness or itchiness. Using moist heat treatment that can be powered by a microwave, this product can be easily used within a minute as your symptoms develop. If you choose to use a product like this one, you can be sure to have relief when it matters the most for the longest period of time possible. Considering that this is a product that can last many treatments with the proper maintenance and washing, this product should be adequate if you want to get the best possible price on your natural eye care. Especially if you want to receive as many quality treatments as possible. Since this product is a mask, it will last several months to years and only requires you to carefully clean and maintain the mask between uses. It’s important for you to understand that this product isn’t designed to treat advanced conditions, but it can definitely be effective for alleviating dryness and itchiness symptoms. Accordingly, this product is a wonderful choice if you need a reasonably versatile, long-lasting product that is great for all types of eyelids. 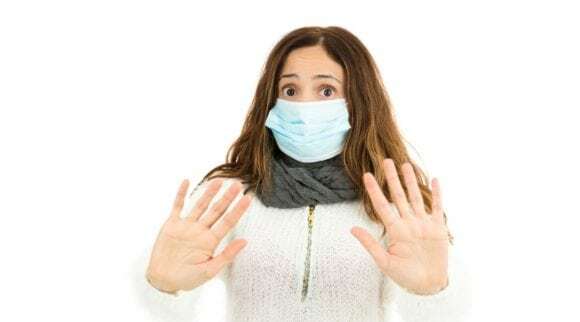 For each treatment, all you will need to do is microwave the mask for 20 to 25 seconds and then apply it for 8 to 10 minutes on your closed eyes. Once you are finished, simply wash it off and then store it in a safe place for later use, allowing it to dry for at least 24 hours. Although the treatment process is simple, it definitely takes a slightly longer time commitment than other products. The feature that sticks out the most about this product is the fact that it is a reusable mask that can last several months of treatments. Since there are many other products that are immediately disposed of after use, this is a great option to consider if you want your natural eye care product to last a long time. Although this surely isn’t one of the most powerful natural eye care products, it is definitely effective against dryness and itchiness symptoms. It also has natural antibiotic components, which make it a great product to use alongside other ones if you have advanced conditions like demodex, rosacea, and so on. Click here to check price and reviews on Amazon. If you like the idea of using moist towelettes with natural ingredients to treat common issues on your eyes, then this is another great option for you to look at. Specifically, this product is designed to be a replacement set for those who already use the OCUSOFT eyelid cleaning pads. It’s important to understand right away that these are dry pads that will only be used as wipes, and don’t contain unnatural chemicals or ingredients. Simply add water. With different pads that you can use to treat various minor problems like dryness and itchiness, this product is a wonderful choice if you want to receive one of the overall best balance between price and the number of treatments that you will receive. In all reality, this may be the most affordable option for all types of eyelids that you can find. Right off the bat, it’s important that this product is not designed to necessarily fight any sort of advanced condition. However, they can still be used to fight dryness symptoms associated with clogged up oil glands and dried out tears. However, you should not use a product like this if you want to fight an advanced issue like demodex, blepharitis, or rosacea. Conditions like these will require a little bit more strength and more powerful ingredients. To use this product, you will simply need to add some water and then use them to wipe away any sort of grime or gunk that may be building up around your eyes. In all reality, each treatment should be started and finished in less than 5 minutes. With over 100 different pads in each package, this will also last you a long time before you need to get them replenished. One of the most important things to understand about this product is that it doesn’t contain any sort of powerful ingredients that you can use for fighting advanced or problematic conditions. 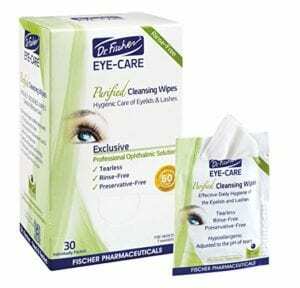 Accordingly, anybody who simply wants a product to clean out their eyes will definitely be sure to love how simple and affordable this product is. 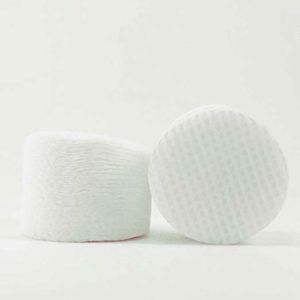 Although this product comes with many different pads and an affordable price, keep in mind that these are dry pads that need to be combined with water. Accordingly, this is not the type of natural eye care product that you should depend on for fighting advanced conditions that need certain ingredients. After all, these are just dry pads that you can use to wipe your eyelids with. 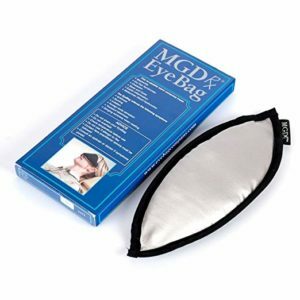 If you have a problem like blepharitis and want to get a treatment which you can use over and over without spending too much money, then this eye bag will definitely suit your needs perfectly. Functioning as a wonderful addition to any sort of blepharitis treatment that you may already receive, this product will help you fight your negative symptoms whenever the need arises by simply wearing a mask for a short period of time. This product comes at a very affordable price that’s comparable to what you would receive with other products that only supply a month or so of treatments. However, since this product can be used about 200 times (with careful maintenance and washing), this is one of the absolute best products to look at if you want to have the most treatments possible for the lowest possible price. 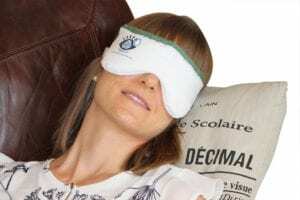 This mask is designed to help people who are suffering from blepharitis. Since it works by naturally loosening up your oil glands and helping them to release more oil, it is one of the most natural ways to fight dryness symptoms around all types of eyelids. However, there are no advanced conditions or problems that can be completely cured through the use of this product. This product works by heating up any sort of blockages in your oil glands, liquifying the stagnant oils and allowing room for fresh new ones to come in. To use the product, simply heat it up in the microwave for a few seconds, and then place it on your face for 10 minutes. Repeat this process whenever you notice that your dryness symptoms start to come back. The most immediate special feature of this product is that it can be applied directly to your face whenever your symptoms develop. Accordingly, there are no wipes, foams, or other disposable items included in the package. You can use this product over and over, up to around 200 times before you will ever need to consider replacing it. Not everybody wants to use a product that has chemicals or potentially harmful ingredients. 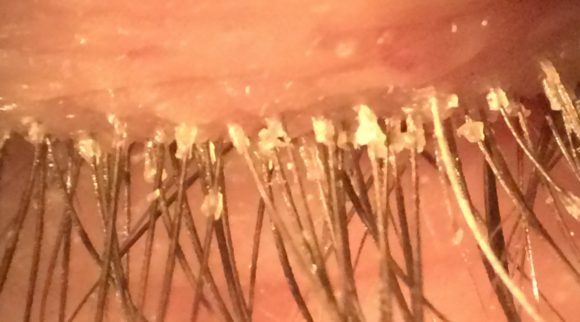 If you suffer from blepharitis and want to find one of the most natural remedies for fighting the dryness symptoms that you suffer from, this is clearly one of your absolute best options to consider since it is reusable and doesn’t contain any sort of chemicals, drugs, or active ingredients. Anybody who wants a great product that you can use to both quickly and effectively clean their eyes will definitely love this product. 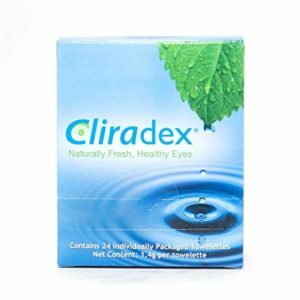 It comes with several different wipes and can be used to conquer dryness and inflammation symptoms in all types of eyelids. Of course, this is also another great product to look at if you simply want your wipes to remove any sort of cosmetics at the end of the day. Each package comes with 30 individually-wrapped towelettes that are designed to be used only once. This means that you will probably get this product to last you about a month before you need to replace it. Since it comes at an affordable price for each treatment, and the ability to purchase in bulk sizes, this is another great option to consider if you want to save some money on your eye care products. If you have a condition like demodex or rosacea, this will definitely not be the right product for your needs. However, if you want a product to treat dryness symptoms associated with a condition like blepharitis, then this will definitely suit your needs perfectly. Additionally, this product can be used to quickly remove makeup at the end of the day. Like other similar products, using this product is very simple. Of course, it is important that you start by washing your hands and the surface of your eyes. Then, simply remove the wet towelette from the package and gently wipe across the necessary areas. One of the most important special features of this product is that it is capable of removing dirt and grime from your eyes very quickly, and for a very reasonable price for each treatment. Accordingly, if you like the idea of using a wet towelette product like this one, then this is a great product to consider if you want to save a little bit of money on each treatment. 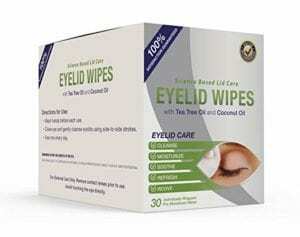 With a price that is reasonable, the ability to purchase it in bulk, and having the right ingredients to help alleviate blepharitis symptoms within minutes, this is another great product to consider if you want to fight your dryness symptoms without resorting to powerful chemical treatments. As we demonstrated, there are many different types of eyelids and eye shapes, which can make people’s daily routine for using cosmetic products very different from each other. However, if you want to treat problems like dryness, itchiness, dark circles, puffiness, blepharitis, demodex, rosacea, acne, and so on, the treatment process is relatively the same, regardless of what types of eyelids you have. 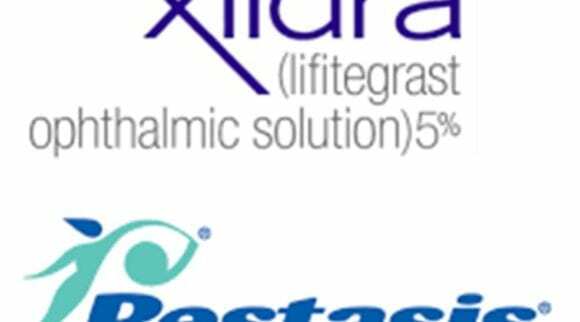 We always recommend starting out with a great hypochlorous acid eyelid cleanser, like Heyedrate Lid and Lash Cleanser. 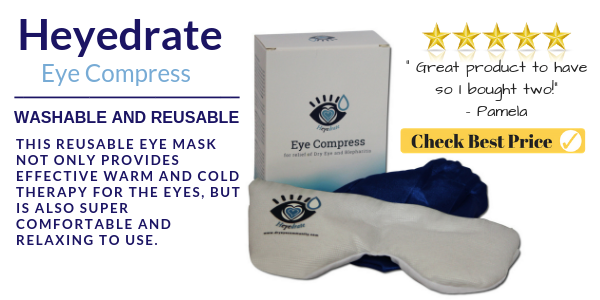 Many people who want to take care of the skin around their eyes without resorting to any sort of chemicals should consider using a mask like the Heyedrate Dry Eye Compress. 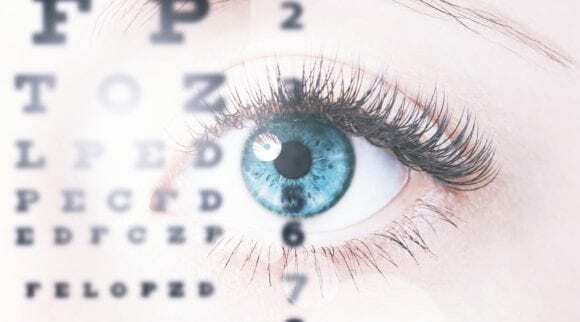 However, if you are concerned that you are suffering from any sort of advanced eye condition, do yourself a favor and go straight to your eye doctor for advice.